Eating our way through Santa Barbara, one bite at a time. 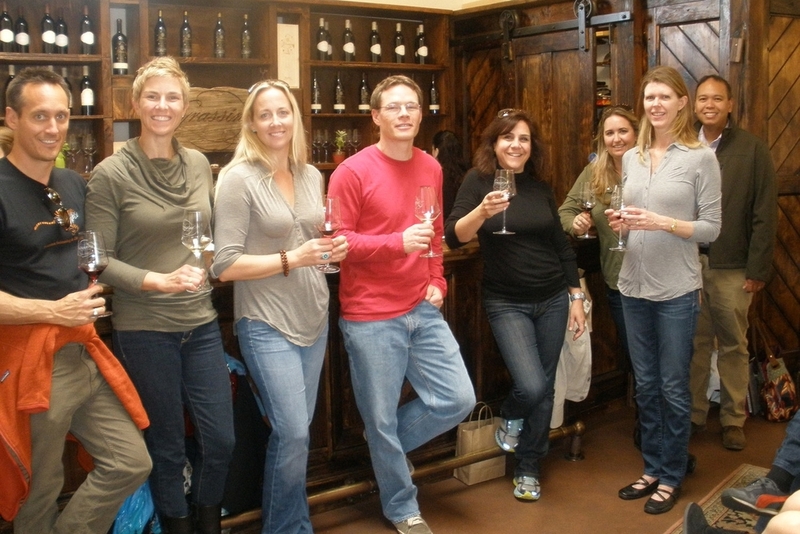 Our food tours offer a unique blend of food tasting, local history, culinary education, and of course, walking. These tasting excursions are fun and intimate, giving guests a behind the scenes look into some of the area’s best eateries. From a hidden chocolate shop in La Arcada to the best pastrami sandwich in Santa Barbara, it is our pleasure to share these wonderful food finds with our guests. Whether you're a visitor, new to the area, or if you've lived here forever, our food tours are sure to delight. Situated on a beautiful stretch of south-facing coastline, the city of Santa Barbara is known for its Mediterranean climate, its rich history, beautiful beaches, and vibrant restaurant scene. With the Channel Islands off the coast and beautiful mountains hovering above the city, the views, sights, and activities here are breathtaking. Join us for one of our delicious food tours and get to know the city and its history, one bite at a time. "What a fabulous way to get to know Santa Barbara. Allison's food tour was one of the most enjoyable days I've had in a long time. I LOVE eating and this tour had a little something to satisfy all my taste buds..."
"What a wonderful way to spend the afternoon in Santa Barbara! Eat amazing food, learn about local businesses, as well as gain some cultural knowledge of city along the way..."
*photo credit Julien Haler. Creative Commons License.